We used to be involved with the company (Bang!) distributing Bright Eyes first records, we had driven Conor Oberst and Mike Mogis around Benelux during their very first european tour and we got along with the kids (Conor was 19 back then) quite good, they let us put out this Bright Eyes EP that was only avail in Japan. They also forgot to tell their US label about this.... this was a 2,000 copy pressing that rapidly sold out. 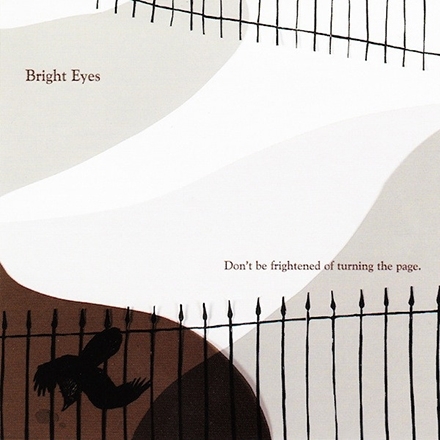 While the CD is unavailable in most countries, the vinyl record of this album was included in the Bright Eyes Vinyl Box Set. The track "Mirrors and Fevers" was used as the intro to 2006's rarities compilation, Noise Floor (Rarities: 1998-2005). The track "I Won't Ever Be Happy Again" can also be found on the Split EP with Son, Ambulance, Insound Tour Support Series No. 12. However, on this release it is a different, cleaner recording with drums and a full band, whereas the other was a more lo-fi recording with just acoustic guitar and other acoustic instruments, as well as some lyrical changes.